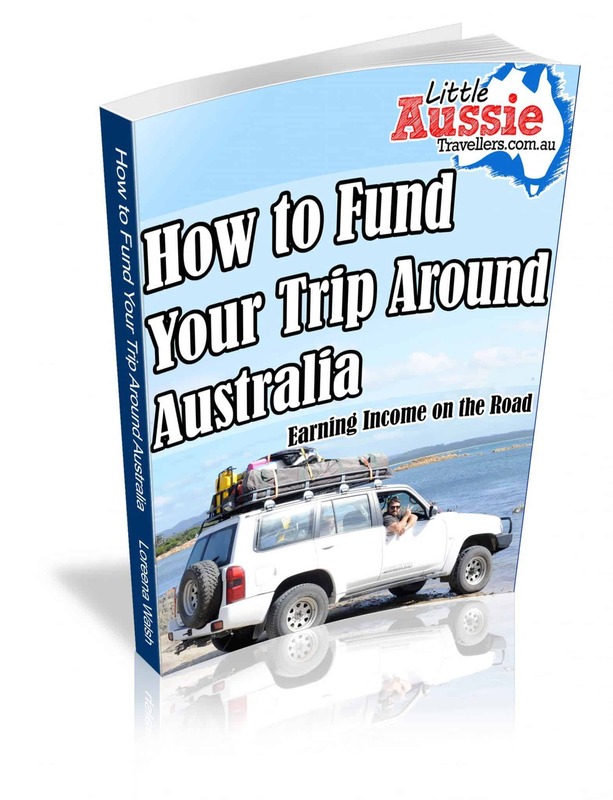 Our first ever touring holiday, the amazing experience that sparked this desire to travel Australia permanently, began on the 2nd August 2008. Well, the planning stage began much before that, but that was the date we headed off. Keep in mind this wasn’t a self drive holiday where we had the luck of taking our own vehicle and gear, nope, just to make it more difficult we would be in a hire car able to take only as much gear as we could fit in our luggage allowances for the plane. On an adventure like this, who wants to do things the easy way right! Choosing a Hire Vehicle for our Travels Through Central Australia. 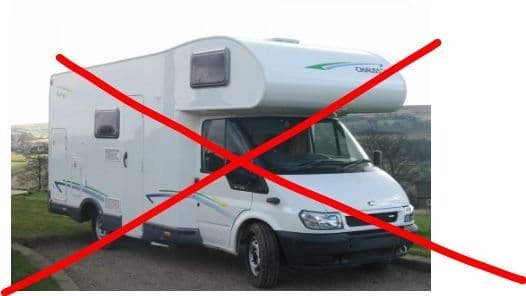 Ideally, when you’re travelling on a camping holiday for 3 weeks with 3 small children, packing your own car and towing a camper or caravan is the way to go. Not us however. We knew that we had one chance to take this trip, and we just needed to get there whichever way we could afford. We looked into hiring motorhomes, seemed like a great idea, a ready made home away from home. Well, that WAS the plan, until we realised we needed a bond of $7500 plus the hire fees. When you’re a young family on a tight budget that’s a whole lot of money to come up with! So we quickly realised that even though the comfort would be amazing, that the extra expense would totally wipe out our funds for fuel, food and fun activities, so it just wasn’t going to be a reality. When the only way to see parts of remote Australia is to fly to your starting destination to reduce wasted time, you really have to hire a vehicle. Because of the expense of motorhomes, we knew for us, it had to be a hire car. Now that choice might sound simple as well, but it really wasn’t. 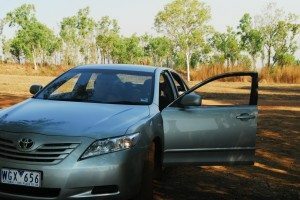 Other than the fact we were trying to make the decision within a few days of leaving, you just don’t realise what restrictions are placed on hire cars until you want to use one to take an adventure around the Northern Territory and the Desert! Our first choice was a 4wd of course. Knowing there would be dirt roads and tracks, we thought this would give us the best option for accessibility to all the areas we might like to travel. Well guess what! Most hire 4wd’s don’t allow you to use them offroad. If you can’t use a hire 4wd off road then there’s no real point in paying a higher rental fee each day and more expensive fuel bills just to have 4wd capabilities. There are hire companies who allow off road use, I’m sure there are, but we couldn’t find them at a reasonable price in time. The realities were, that with young children we probably weren’t going to be travelling in 4wd exclusive areas either as we wouldn’t want anything to happen that would see our short amount of travel time eaten into by a breakdown. So, in the end we chose a Toyota Camry. Large enough to fit all the kids and ourselves comfortably and plenty of room in the boot to fit our camp gear. It was a lovely car to drive and served us well. Most hire agreements don’t allow you to drive in the period from dusk to dawn – The territory has a lot of animal activity during those times and damage to the car won’t be covered by your general hire insurance. You will be given a list of roads that you are allowed to travel on. If you choose to travel on unsealed roads other than those allowed and something goes wrong, then you probably won’t be covered by your general hire insurance. Choose a company that allows drop points at your destination. When you’re travelling through Central Australia, you don’t really want to drive all the way back to drop your car off and miss out on awesome travel time. For us, choosing a cheaper hire car with great fuel economy left much more money to spend on the fun things. Once we had the car sorted the next consideration was how to get our camping gear etc to Darwin when we were flying by plane… but that’s another story.